Chartered surveyors DM Hall has secured the sale above the asking price of an investment opportunity in the heritable interest of 65 Bruntsfield Place, a 10,028 sq. ft. property in the Bruntsfield-Morningside district of Edinburgh. The property, a substantial traditional detached two storey B Listed Georgian villa, constructed in 1826 with a sympathetically created extension to the rear, is currently let in its entirety to the City of Edinburgh Council until November 2033 and is used as a hostel. The council took occupation of the property in November 2003 and currently sublets it to a local housing association. As part of Russell Roof Tiles’ dedication to nurturing skills and talent, a former graduate trainee has been promoted into a management role. Adam Clark (30) from Lochmaben is now assistant works manager for Russell Roof Tiles at its 11-acre Halleaths site. 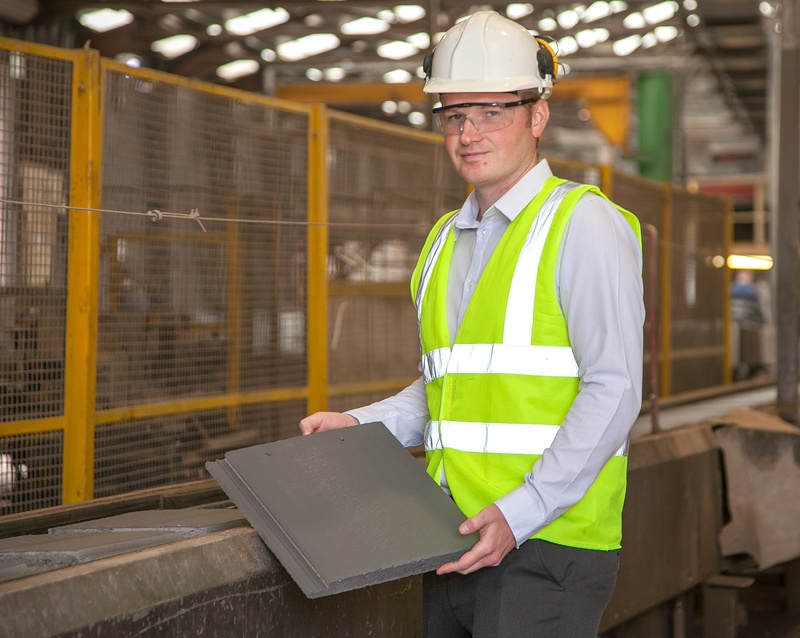 He started at the leading pitched roof tile manufacturer’s in 2017, after finishing from Edinburgh Napier University, with a degree in Electrical Engineering. Currently employing 61 people in Lochmaben site (and 100 at its two sites in Burton on Trent), the manufacturer has always been dedicated to enhancing the skills of its staff through training and development. Last year, Russell Roof Tiles announced its largest training investment, by devoting more than £60,000 in health, safety and environmental training. The business has also invested in special training rooms and equipment to support career development. Since joining the company, Adam has undergone a number of training courses, including one on concrete technology, health and safety training and supervising courses. With the support of Russell Roof Tiles, he is also currently working towards completing a SVQ qualification in management. Russell Roof Tiles has also been instrumental in providing Adam with training in all aspects of the business and last year, he was given the opportunity to visit the manufacturer’s sister company, Crown Roof Tiles in Florida, USA for a month. During the visit, he played an important role in improving productivity and efficiencies at the American factory and conducted a series of workshops. Adam was able to observe the differences in production between the two sister companies and use the experience and knowledge in his new role. A vacant retail unit in Kilwinning has been transformed into a modern housing office for North Ayrshire Council. 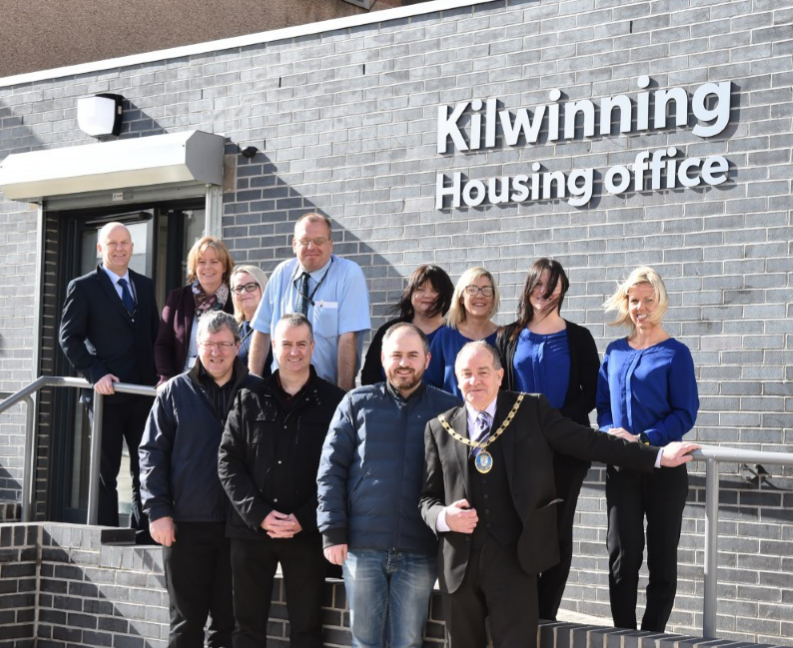 The new facility, which was officially opened on March 15 by North Ayrshire Provost Ian Clarkson, features modern features such as a self-service kiosk which allow rent payments to be made quickly and easily. The works to the new housing office were completed by the council’s building services. The previous building was inefficient and no longer fit for purpose, with the location and design making it difficult for tenants and staff to access. Plans have been lodged to build more than 20 flats in Aberdeen city centre. Nice Point Ltd has applied for permission for 23 flats at 173 Union Street, above the current Santander branch. The upper floors of the building have lain vacant, according to a report submitted along with the application. Part of the plans, which was also lodged for another building at the rear on Windmill Brae, will involve changing the class of the building to allow the flats. The report, created by Fitzgerald and Associates, pitches the new flats at “first-time buyers and young professionals” if they are approved by the local authority. A new system of roads maintenance in Glasgow is set to focus on permanent repairs to potholes and other roads defects at the first time of asking. The new approach, based on careful risk assessments of individual roads defects, will signal a substantial reduction in the current practice of temporary patching, which costs the council around £1 million each year. The guidance has already been adopted by other local authorities across Scotland and the council’s Environment, Sustainability and Carbon Reduction Policy Committee has now recommended the new policy to the City Administration Committee for formal approval as council policy. As well as new homes and school buildings the plan includes improved transport links, a marina and green spaces. Multi-storey tenants in Ayr are getting the chance to have their say on the long-term future of their high-rise properties. 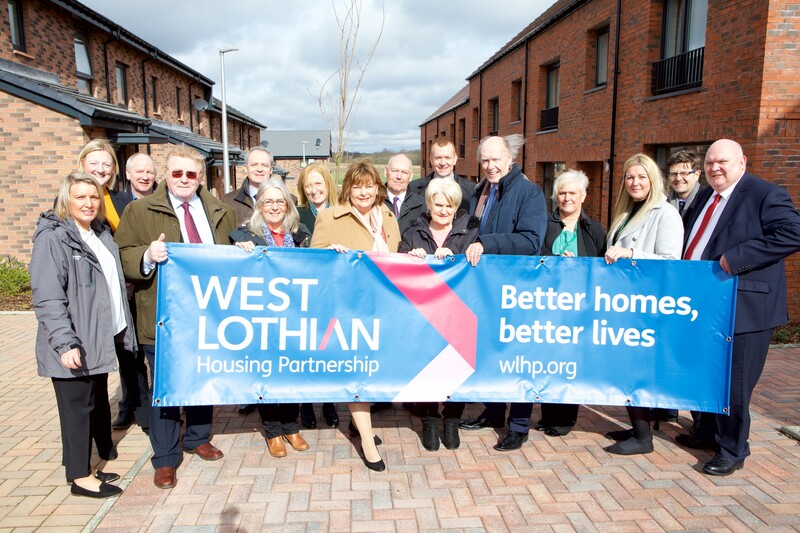 South Ayrshire Council’s consultation and engagement exercise ‘Your place, your future’ gives tenants at Riverside Place the chance to choose their preferred option to refurbish or rebuild the flats or to be rehoused themselves. The average price of a property in Scotland increased by 1.3% in January 2019 on the previous year, new statistics have found. The latest publication of the monthly UK House Price Index (HPI) shows that the average price of a property in Scotland in January 2019 was £149,036 – an increase of 1.3% on January in the previous year and an increase of 0.6% when compared to the previous month. The volume of residential sales in Scotland in November 2018 was 9,992 – an increase of 16.6% on November 2017 (a like-for-like comparison of the latest provisional estimate for November 2018 with the original provisional estimate for November 2017 as recorded before final figures became available). Average price increases were recorded in the majority (22) of local authorities in January 2019, when comparing prices with the previous year. The biggest price increases were in Midlothian and Perth and Kinross where average prices increased by 13.6% to £187,264 and 7.2% to £192,153 respectively. The largest decreases were recorded in Inverclyde and Aberdeen City, where average prices fell by 8.1% to £89,865 and 7.9% to £150,381 respectively. Across Scotland, all property types showed an increase in average price in January 2019 when compared with the same month in the previous year. Flatted properties showed the biggest increase, rising by 1.8% to £107,872. The average price of detached properties rose by 0.4% to £256,726, the smallest increase of all property types. The average price in January 2019 for a property purchased by a first time buyer was £120,887 – an increase of 1.8% compared to the same month in the previous year. The average price for a property purchased by a former owner occupier was £177,938 – an increase of 0.8% on the previous year. The average price was £137,721 for a cash sale – an increase of 1.6% on the previous year – while the average price for property purchased with a mortgage was £154,275 – an increase of 1.2% on the previous year. A series of gas network upgrades are set to get underway in Lanark. The £26,139 works will take place in the Hall Place area, replacing old, metal gas mains with new plastic pipes. Kier is completing the work across two phases on behalf of SGN. The first phase will launch on 01 April starting on Kildare Road and lasting for a week. Phase 2 will follow on shortly after, starting on 08 April on Kildare Road between St Leonard Street and Hall Place. Temporary three-way traffic lights will be in place at the junction with Kildare Road and St Leonards Street. A road closure will also be in place in Kildare Road just after its junction with Hall Place. This series of work will last approximately two weeks. The Scottish Government’s Academy9 schools initiative inspired by the A9 Dualling programme is the catalyst for a major conference being held this week in Aviemore. ‘Academy9 – Building a Legacy’ is the first conference bringing together engineering, infrastructure and education professionals along with pupils from schools along the A9 to promote STEM (Science, Technology, Engineering and Maths) education and employment opportunities for future generations and learn from their shared experiences. Lochshell Engineering is set to commence work on a delayed project at Rothesay Ferry Terminal next month. The works, which will see a series of protective screens installed, were originally scheduled to begin at the quay last year but were delayed following an extended period of off-site fabrication and design. The ‘scour baffle screens’ measure 8m wide x 5.6m high and will minimise the effects of propeller wash which currently affects the masonry quay wall located beneath and to the rear of the suspended deck of the ferry berth. Lochshell will begin work on the project on April 4 under an £833,000 contract. The project is scheduled for completion by June 20.